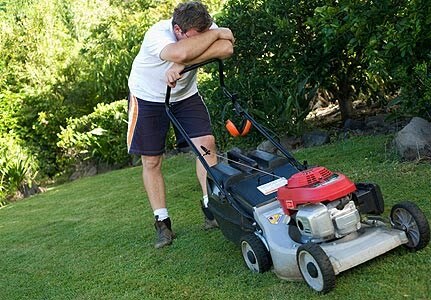 I sound like a spoiled brat but I have never cut the grass. I have never had to because 1) I avoided yardwork like it was the plague and 2) because that's what sons are for uh hmm Anthony! It's been raining for the past week and so our grass has not been cut. Noah is in on a work trip and won't be back for a week and a half. Needless to say our yard needed desparately to be mowed. So I thought last night, the first night it stopped raining, I would go outside and knock it out. How hard could it be? 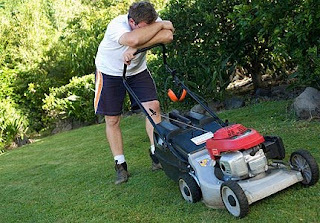 After getting the lawn mower working I thought I could just push it and I would need minimal effort. I guess I didn't realize I had to also hold another bar down to propel the wheels. I couldn't figure out how to turn the lawn mover so it looks like I was creating crop circles in the lawn and I was too scared to cut the grass closest to the driveway and the sidewalk because it made an awful scraping nose the one time I tried. I didn't finish the front yard. I gave up. I was defeated. I thought I may do more harm than good if I keep going. So my yard looks totally terrible. Maybe worse than before I even mowed the lawn. My OCD kept me thinking about how embarrassing my yard looked. And there is no way I can wait until Noah comes home. Solution??? 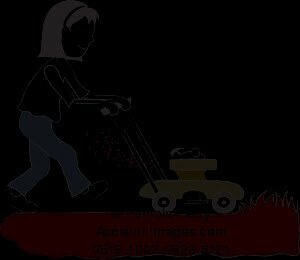 Tommy's Lawn Care Service. Tuesday. 8:00 am. and $40 bucks later. Haha. That made me laugh out loud. I have never in my life mowed a lawn (You're right, btw. Hello, I have five brothers.). I can only imagine what my lawn would look like.